Hixson High JROTC Cadets pose with trophies they won during a Hamilton County JROTC competition. JROTC events span both athletic and academic contests. Hixson High won the Drill Competition. It was the first time in the program's history that they'd won. Three years ago, Hixson High School's Junior Reserve Officers' Training Corps program was on the brink of cancellation. The cadets had just failed an official inspection, which put them on a short list of programs to be cut from the Department of Defense's budget. As the students tried to find their footing in the aftermath of failing the inspection, Sgt. Doug Burhans took over the program with a single goal in mind: give ownership of the program back to the students. "We put into effect a system where the kids knew they were responsible for their duties," Burhans said. "Being student-run is what our program is all about. The instructors are just meant to guide the kids." While Hixson's JROTC boasted nearly 140 kids when Burhans took over, he saw that many weren't doing what was necessary to keep the program afloat. Not inviting back cadets who didn't want to do the right things was difficult, he said, but ultimately it was their choice. Now, the program has blossomed into a major source of pride for the school. 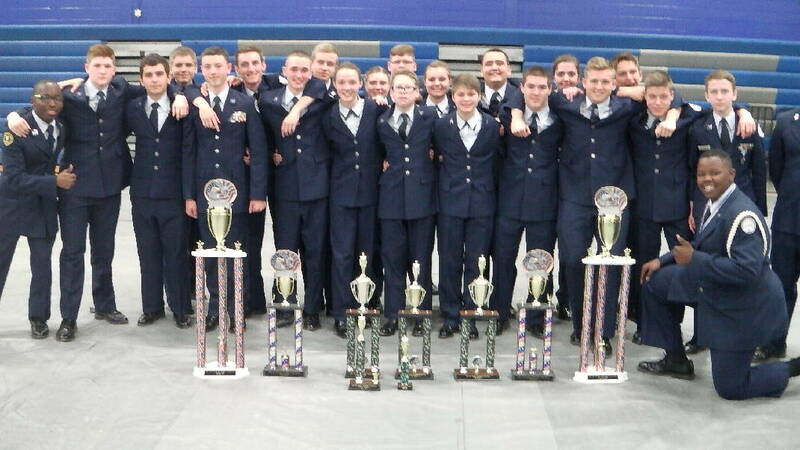 This year, the program took first place in the Hamilton County Drill Competition, a first for the school in the nearly 30 years its JROTC has competed in the tournament. In addition, the number of students attending the summer leadership program at the prestigious Mountaineer Cadet Officer Leadership School has tripled from nine to 30 since Burhans began overseeing Hixson's JROTC program. "I'm very proud of these kids. To see them come so far and see such successes, it makes me want to stick my chest out in pride," he said. He expects the upcoming school year to be "an emotional one," since it will be the first graduating class for students he's seen grow from freshmen to seniors. In the meantime, Burhans said he's beginning the necessary paperwork for a possible obstacle course behind Hixson High for the JROTC program to use and train on. Such a course would enable the program to compete in countywide Raider competitions, providing another extracurricular avenue for students involved in JROTC. He recommends those interested in supporting Hixson's JROTC students look for fundraising opportunities once the school year begins. Continuing the growth of the program, from more activities offered to more student involvement, is what Burhans said he's trying to maintain. "Currently we have 66 freshmen coming up from eighth grade who have signed up," he said. "You always lose a few in the first few weeks, but I expect most will stay. We're definitely expecting to grow even more." For more information about Hixson's JROTC program, email Sgt. Doug Burhans at burhans_j@hcde.org.